Egypt's President Abdel-Fattah El-Sisi promised an "appealing environment" for investors in Egypt, speaking during the opening ceremony of a development conference that saw attendance from a number of key international figures. In his opening speech, El-Sisi said his government has put in place a sustainable long-term development strategy until 2030. Egypt hopes to attract billions of dollars in investment from the three-day summit. Around 2,000 delegates are attending, representing 112 nations. They include 30 heads of state and executives of multinational companies. Egypt's Gulf allies, Kuwait, Saudi Arabia and the United Arab Emirates pledged $12 billion in aid when their representatives spoke at the conference on Friday. The oil-rich countries have already provided $23 billion to help support Cairo's ailing economy since the ouster of Mohamed Morsi in 2013. 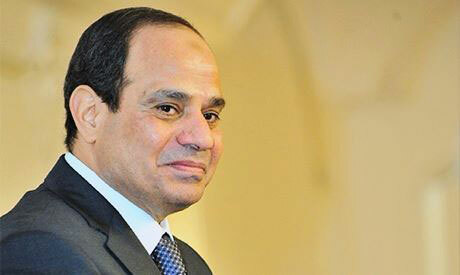 On Friday El-Sisi extended his thanks for their support. Since El-Sisi has come to power, he has implemented a number of economic reforms, which he said on Friday aims to guarantee equal opportunities for investment. A new investment law was ratified a day before the conference, which El-Sisi said opens the door to fair competition, facilitates investment procedures for companies, guarantees their rights, and offers incentives to bolster business in areas of national interest. El-Sisi also promised immediate strategies and clear policies to support the private sector and foreign investors, and reiterated Egypt’s commitment to paying the arrears owed to foreign companies. The Egyptian leader cited a number of projects that require investment, including the planned reclamation of four million feddans of land, the digging of the new Suez Canal, the Suez Canal development project, the Golden Triangle project, as well as new airports, developing roads, waste management, mining and tourism. "Egypt’s economy does not rely solely on mega projects but on a clear economic vision committed to free-market economy and private sector participation," he said. The president also stressed the importance of international support for Cairo’s war on local Islamist militant groups. "The stability of Egyptian society is stability for the region as a whole,” El-Sisi said.